This summer while taking my daughter to funfair we came across to an attractive stall put up by Dentoshine (Novateor Research Laboratories and Novateor Sales & Marketing were established in 2011 and 2013 respectively, with a vision of creating awareness of better oral hygiene in India). 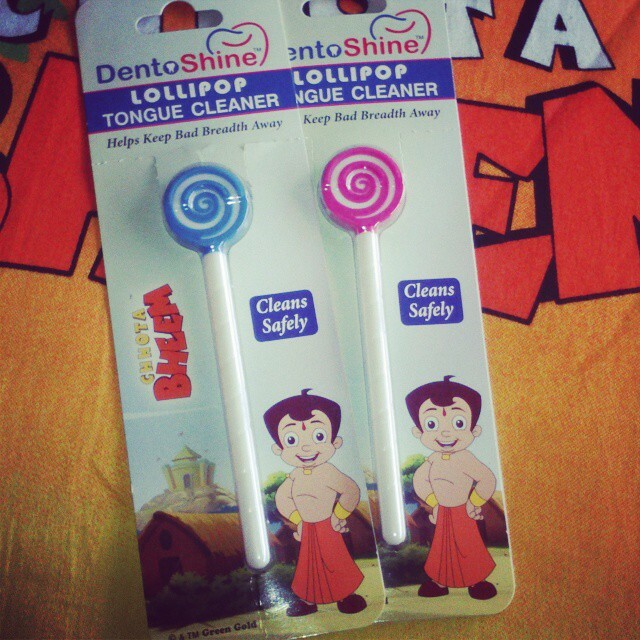 They had range of dental products specially for kids and adding to it with the Chhota Bheem dental range for exclusively for kids. So below is my product review on Dentoshine Chhota Bheem Tongue Cleaner for kids. Out of all products displayed with Chhota Bheem theme, I picked up a tongue cleaner also called a tongue scraper. A tongue cleaner is an oral hygiene device designed to clean the bacterial build-up, food debris, fungi, and dead cells from the surface of the tongue. 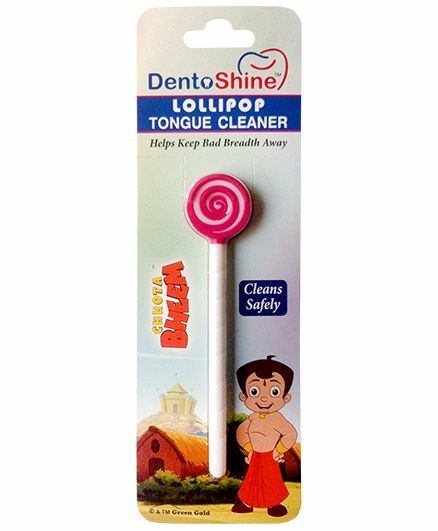 As my lo had Chhota Bheem Paste and toothbrush, and yes I was looking for kids friendly Tongue cleaner with Plastic/silicon/rubber material not steel one. I picked up 2 from the stall one pink and other blue, one my y lo and another for my nephew. It's lollipop look, feel and colour made it more easy for me to convince my lo to clean her tongue by herself. 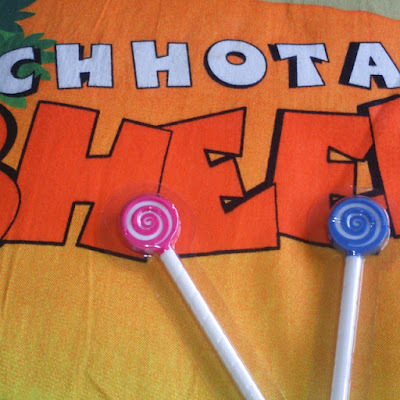 The short length lollipop stick makes it more easy for kids to hold and scrub their tongue neatly.